Today’s terrorists are yesterday’s Khawarij! They are a group of misguided youth who has wrong understanding of Islam. 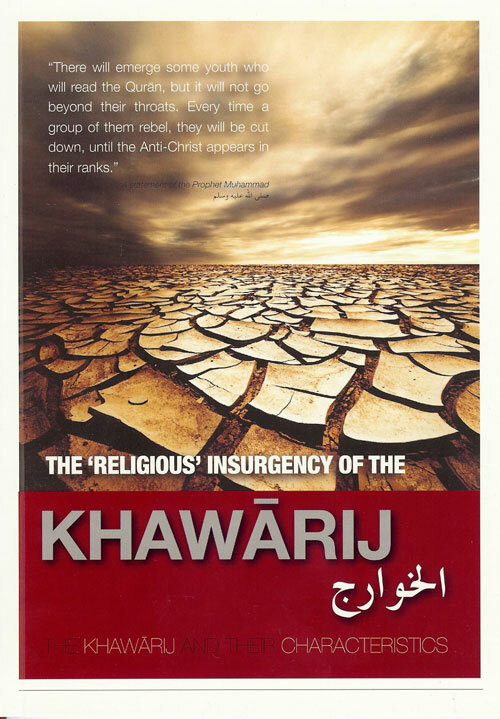 Kharijites (Arabic: خوارج‎ Khawārij, literally “those who went out”; singular, Khārijī ).This definition of Al- Khawarij, which is taken from Islamic terminology, has become a trademark for the twelve thousand Muslims who rebelled against Caliph Ali bin Abi Talib, may Allah be pleased with him, and this includes all the groups that followed their way of understanding the religion. These groups have since been known as “Al-Khawarij” even though they carried different names. From their essentially political position, the Kharijites developed extreme doctrines that further set them apart from both mainstream Sunni and Shiʿa Muslims. The Kharijites were particularly noted for adopting a radical approach to Takfir, whereby they declared other Muslims to be unbelievers and therefore deemed them worthy of death. Al-Khawarij are the people whom the Messenger of Allah (Peace and blessings be upon him) mentioned when he said, what translated means, ” Nearing Qiyamah there will be a Group of people who will recite the Holy Quran but it will not go below their throats. They will leave the true Religion of Islam as fast as an arrow leaves the bow. They will be recognized by the shavings of their entire head and they will move in Groups and their last Group will emerge with Dajjal (Anti-Christ). When you meet them you will discover their nature and character, the worst of its kind.‘ (Mishkat p. 309). Prophet Muhammad (Peace and blessings be upon him) has forewarned us from the above eventuality. He prophesied that certain individuals and Sects will rise in his Umma who will cause dissension, mischief and tribulation, particularly in the last centuries before Qiyamah. (see here for details). The Khawarij are not limited to the time of the first century of Islam. Many Ahadith indicate that people who have these characteristics will arise time and again throughout the life of this Ummah. Some Muslims find the blood of other Muslims lawful these days too, and either target Muslims with their deviant thinking and weapons directly, or facilitate the non-Muslims in their war against Muslims. Present day Khawarij have set bounties on the heads of Muslims, and on top of that boast about their capture! Astaghfirullah. The majority of Muslims (Ahlus Sunnah Wal Jammah) do not subscribe to extremist ideologies and theological perversions, which is why extremists find themselves constantly challenged, striving in every era to increase their small number and expand on their fringe positioning. Consequently, extremists have always tended to overtly gather to protect and pass their distorted views to the next generation built on youth. Today the khawarij still exist despite appearing under different names. Like their elders, they pass group-blasphemy to all those outside their sects. They continue to assault, to shed blood and to extort the properties of all those who defy them, the same way their elders did with the sons of the companions of the Prophet. Except today their threat is greater especially when they are not being faced with a unified and prompt ideological counter-offensive. Clearly, these and the killing of the innocent are attempts to destroy the reputation of Islam and Muslims. Today, the threat of extremists is escalating and reaching new fronts beyond Middle East, South East Asia and New York. They kill unjustly on one hand and call themselves ‘the Salafi Group’ on the other hand. But, no two concepts can be more polarised. They hide behind the banner of Jihad and martyrdom and under the veil of Islam. 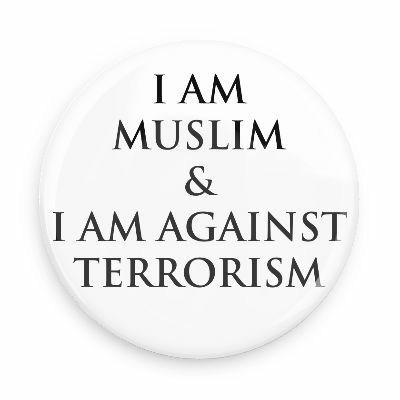 The fact of the matter remains that Islam is against them and against their evil acts. Refuting them is an Islamic obligation and diffusing them should be a way of life for the true Muslim. The khawarij of today follow the same concepts of their elders resulting in copycat acts of terror shedding the blood of the rulers; peoples of states; Imams; contractors; journalists; ambassadors; engineers; doctors; farmers; craftsman, and old and young males and females. They are Khawarij (Kharijites). If anybody wants to eliminate terrorism and militancy from the world, then you have to eliminate Khawarij (Kharijites) and not support them. There cannot be dual standards, by providing them funds and then ask to eliminate terrorism. Terrorism and militancy is nowhere but in Khawarij (Kharijites). You can look into the ideologies/beliefs (Aqaid) of all the terrorist organisations (who kill or sponsor terrorism) from the east to the west and you will find that none but Khawarij (Kharijites) are the terrorist organisations. -Sheikh ul Islam Dr. Tahir Ul Qadri. “Verily, the ideology of the Khawaarij which is exemplified in declaring the Islamic societies to be disbelieving (societies) has not ceased to spread, and it has its callers and those who organise for it to be spread. It is spread using these means by way of the Internet and the callers (to this ideology) spread it amongst the youth (in order) to employ their religious zeal. This is done by spreading what they claim to be miracles of the mujaahideen, and this is amongst the ways of stirring up the youth and using their zeal. It is for this reason that they approach them from the avenue of their religion, and there has come in a hadeeth of Abu Bakr for a hadeeth of `Alee bin Abee Taalib (radiyAllaahu `anhu) in description of the Khawaarij – and Ibn Hajr has related it in the explanation of the hadeeth – “Then Satan will come to them from the avenue of their religion”. And this is happening today, because what is spread on the World Wide Web is from unknown (unidentified) people, not known for knowledge and nor for religion. They are a group of misguided youth who has wrong understanding of Islam. The Prophet (Peace and blessings be upon him) warned us from them. He told us that they kill Muslims and they are the worst people on earth. You look down at your prayers and other forms of worship when you compare it with theirs. He also told us that they recite the Quran a lot yet they leave the fold of Islam. The Prophet ordered us to kill them wherever we find them. Such people are a menace to humanity. They are the worst publicity to Islam. Due to their rebellious ideology, some immature Muslims may become impressed with them and subsequently follow them. Such ignorance is fatal. That is why it is important for scholars of Ahlu Sunnah Wal Jama’ah (Majority Muslims) to be visible and available so that the youth can find a point of reference when in doubt. European and American Islamic centers must condense the number of Islamic lectures and family gatherings so that they can prevent the youth from falling into the wrong hands of the promoters of hate, violence and ignorance. The crimes and activities of Khawaij distort the true image of Islam. And this is in reality oppression. Oppression to Islam and the Muslims, because the people now, at this point, if it is said to them that these bombings are from Islam, then it will result in the people hating Islam. And they will hate the Muslims. And they will run away from Islaam. And they will have a feeling towards Islaam of enmity and rancour. Likewise these crimes involve lying upon Allaah and lying upon the Messenger. It is obligatory upon the Muslims, all of them, that they honour their agreements, and they honour their contracts, and that they speak truthfully when they speak. The true Muslim is not treacherous, and he is not deceitful, and he does not lie, and he does not oppress. This is what Islaam teaches and this is something this is clear from the religion. As for those activities such as bombing and what is similar, they distort the true religion of Islaam and they ascribe to Islam which in reality is not from it. Because verily the true Muslims, those who understand the reality of the religion of Islam, in every place, they hate and reject and they criticise these criminal acts and they warn against them. And they warn against those people who call to these acts. Far away and distant from extremism and far away from fanaticism, the true religion of Islaam is a religion of mercy, a religion of justice and a religion that commands that the contracts be fulfilled and kept. The religion of Islaam is not a religion that allows lies, it is not a religion that is barbaric and it is not a religion of treachery. JIHAD: Profoundly misunderstood in today’s world, both by Non-Muslims and Deviant Sects in Islam. Personal Jihad: The most excellent jihad is that of the soul. This jihad, called the Jihadun-Nafs, is the intimate struggle to purify the soul of satanic influence–both subtle and overt. It is the struggle to cleanse one’s spirit of sin. This is the most important level of jihad. Verbal Jihad: On another occasion, the Prophet said, “The most excellent jihad is the speaking of truth in the face of a tyrant.” He encouraged raising one’s voice in the name of Allah on behalf of justice. Physical Jihad: This is combat waged in defense of Muslims against oppression and transgression by the enemies of Allah, Islam and Muslims. We are commanded by Allah to lead peaceful lives and not transgress against anyone, but also to defend ourselves against oppression by “fighting against those who fight against us.” This “jihad with the hand” is the aspect of jihad that has been so profoundly misunderstood in today’s world. No-one would be happy with these occurrences except one who is severely ignorant. The one who is ignorant of the true understanding of Islaam, he is the only one who would be pleased with the likes of these activities. Allaah does not like oppression and the Messenger Muhammad did not like oppression. Likewise the believers from the Muslims, they hate any type of oppression and they do not rejoice when it appears. The one who is happy at the like of this occurrence either they are extremely ignorant or they are people who love transgression are oppression. And they love barbaric acts. And we ask Allaah that he guides them and he rectifies their state. And Allah knows best. So fear God, and do not be like he who is beguiled by them, and support their corrupt sect and worthless opinion, and their state of misguidance which was explicitly described by the Prophet (upon whom be blessings and peace), who characterized them as the ‘Dogs of the Fire‘ [kilab al-nar], and informed us that they are the ‘worst of all who dwell beneath the sky‘, and that they ‘swerve from the religion as an arrow swerves away from its target,’ and that they mouth among the best of sayings in the form of their prattlings about Tawhid, and implementing the Sunnah, and combating bid’as – and yet, by Allah, they are drowning in bid’a; in fact, there is no bid’a worse than theirs, which causes them to ‘swerve from the religion as an arrow swerves away from its target’, in spite of their superficial efforts in worship and adherence to the religion. Prophet Muhammad (peace and blessings be upon him) said: “The extremist fanatics are doomed.” Although extremism is not a new phenomenon, the rebel exacerbations witnessed today requires prompt action and a strong resolve. The global extremist movement driving this form of anarchy is manifested in groups known by a multitude of names hiding behind Islam to roam among the Islamic communities without drawing suspicion. Extremism does exist. Admitting this and recognizing it as a dangerous force we can better plan to weed it from society. Islamic practice is a true following of the rules of Islam and extremism is a perverted view that deviates from the meanings of the merciful and moderate Islamic shari`ah. This website is extremely helpful. 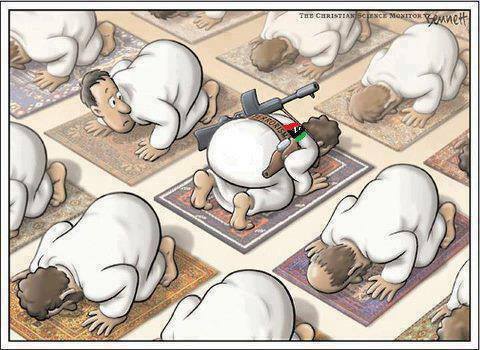 Many people see a muslim person and think they are terrorists. 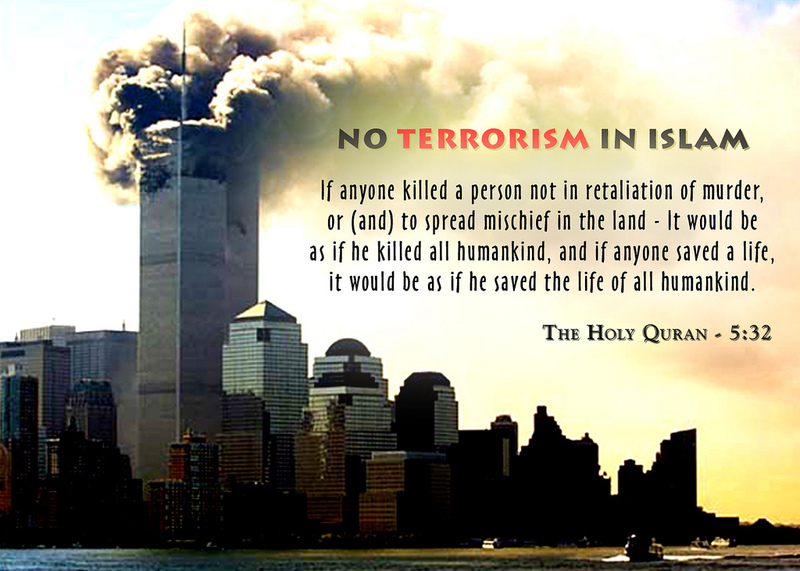 Islam is a peaceful religion that should be recognized as such. Question – What do the traditions of Islam say about family?